Nationwide, car owners need towing services on a regular basis. It doesn’t matter what the cause – a flat tire, a jammed trunk, keys locked in the car, an unexpected accident on the freeway – we drivers need tow trucks and wrecker services to come and help us out in a pinch. For a quality wrecker service in Richmond California that you can count on to always have your back, there’s Cars Towing. Open for service 24 hours a day, 7 days a week, Cars Towing is reliable and fast in serving customers nationwide. 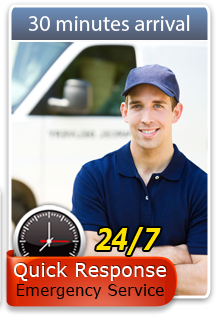 We’re a professionally licensed wrecker service in Richmond California. Our business policies include 24/7 availability, fast response time, and honest pricing for the benefit of all our customers. Read on to see a bit more about what we provide as a wrecker service. Whether you have a Toyota Corolla or a Ford F150, a Geo Metro or a Harley Davidson, we are your company for towing services. Serving all vehicles including cars, motorcycles, and trucks, we provide full towing services to all in Richmond California. Nationwide services include tow dolly, flatbed towing, local towing, long distance towing, on or off-road winching, and more. We can provide accident removal towing as well should the unfortunate incident occur. We will be there for you as your wrecker service in Richmond California. Sometimes you don’t need to have your vehicle towed to a nearby auto shop or gas station. If you just need a little help on the side of the road, you can come to us. We provide reliable and efficient professional services such as flat tire change, fuel delivery, car jumpstart, battery replacement, car locksmith services, and emergency locksmith solutions. Sure, you might be able to get it taken care of on your own – if you had several hours to spare and if you didn’t mind being on your own. But we find that those who call a quality service provider like Cars Towing value the experience for our professionalism, efficient service, and for our willingness to help out. Let us take care of you so you don’t have to risk the damage to yourself or your vehicle out there on the road.